Informazione prodotto "Soul by Ludacris?Fly"
The Soul by Ludacris Premium In-Ear headphone Fly comes with a cool silver/ black finish and features not only a sleek, ergonomic design, but also a superior sound that makes the “Fly” In-Ear Headphone unique and a cut above all others. Designed by world class engineers, the Soul by Ludacris In-Ear Headphone Fly delivers superior bass and clear mids and highs. The ultra-comfort in ear design eliminates ear fatigue which allows for a longer and more pleasant listening experience. 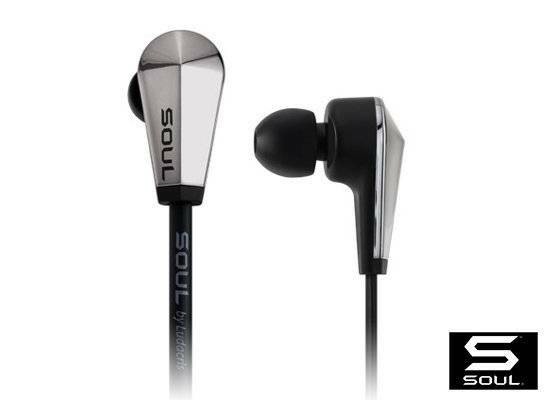 Tested with the active user in mind, the Soul by Ludacris In-Ear Headphone Fly will continue to produce superior sound quality when put to the test. Sii il primo a scrivere una recensione per: "Soul by Ludacris?Fly"